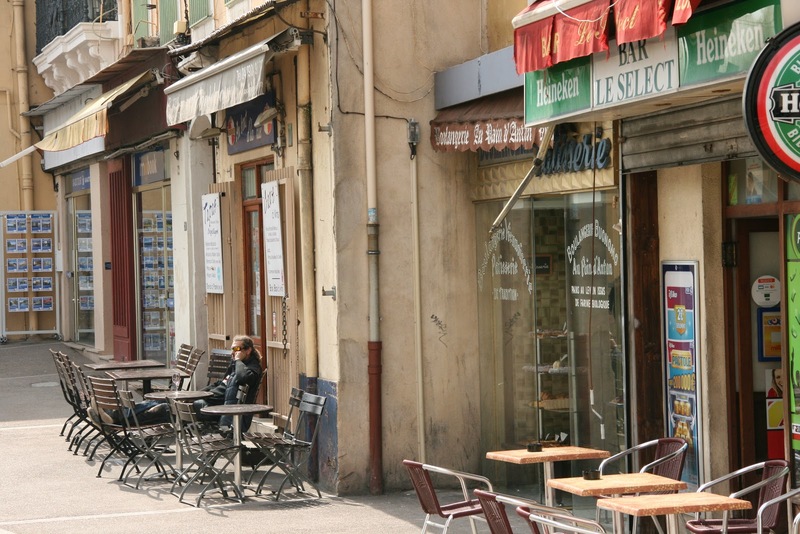 My week in Sète, in the Languedoc-Roussillon region of Southern France, was quietly pleasure-filled. There was a lot to do and to see including the glorious city of Montpellier (the subject of a later blog) but there was also time to contemplate the reflections on water that I could see from my apartment. 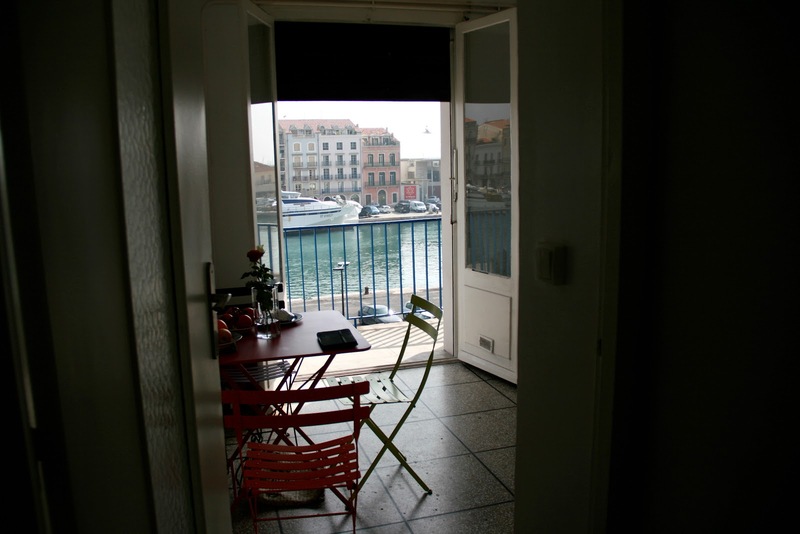 Sète, I think, is a good place to come to if you’d like to spend some time letting your brain find its own way home. 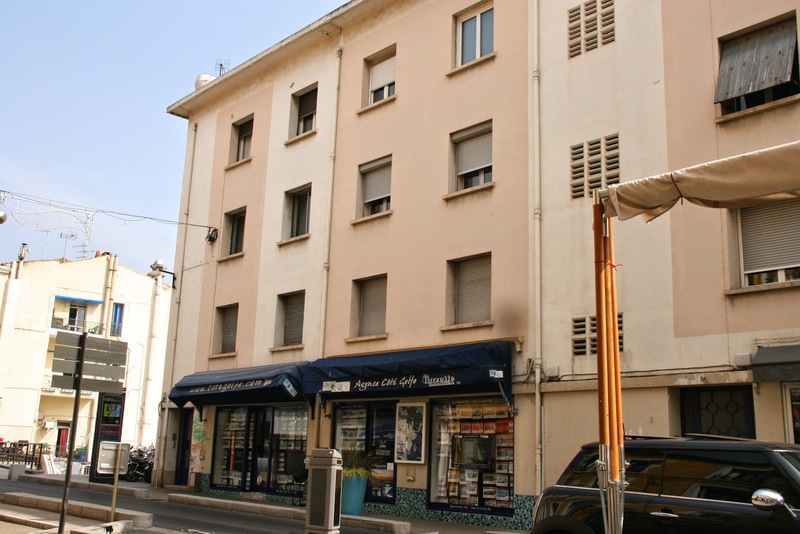 I had taken a small apartment in one of the main streets, above a shop and across the road from a small friendly bar. There was even welcoming graffiti (I hope) by the front door. Sometimes it is good just to sit and think. 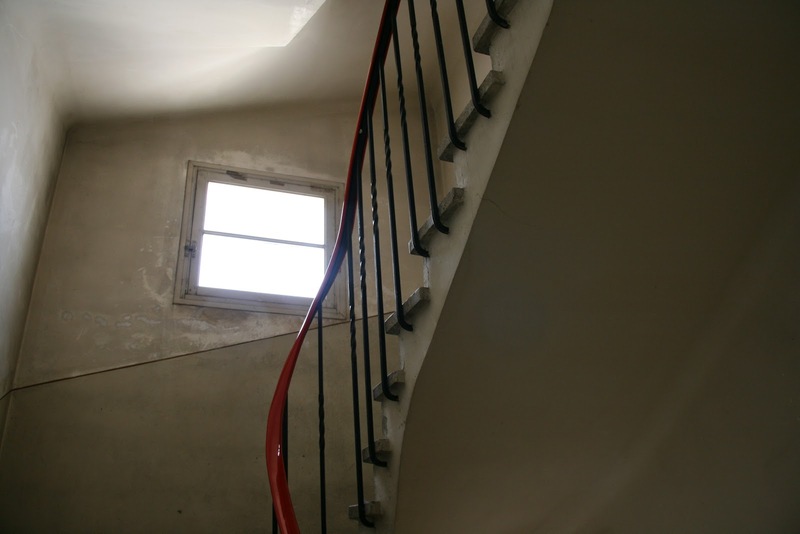 I was up on the second floor, far from street level up a long windy and, somehow, very French staircase that had the ability of making the mundane look as if anything was possible. 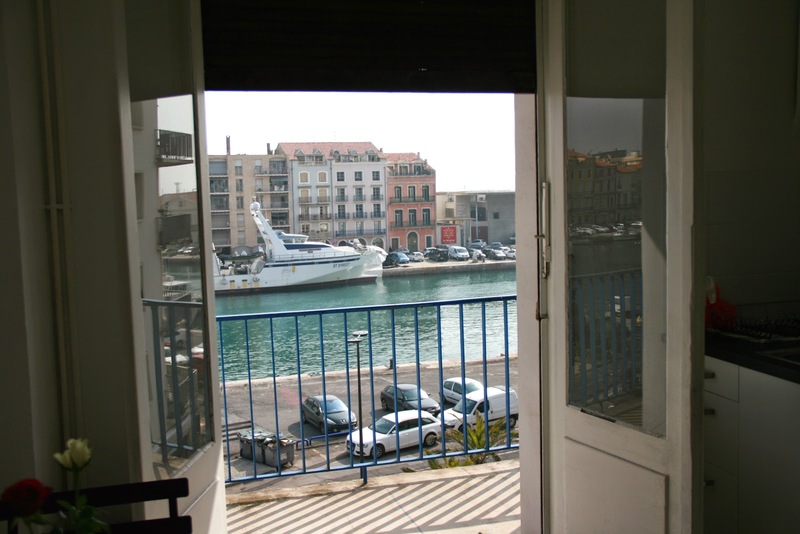 The apartment looked onto the Marina with its highly watchable environment of boats, fisherfolk and seagulls where you could be as much or as little engaged with the world as you chose. It is, of course, in most of our natures to enjoy watching water and other people’s adventures in living with it. 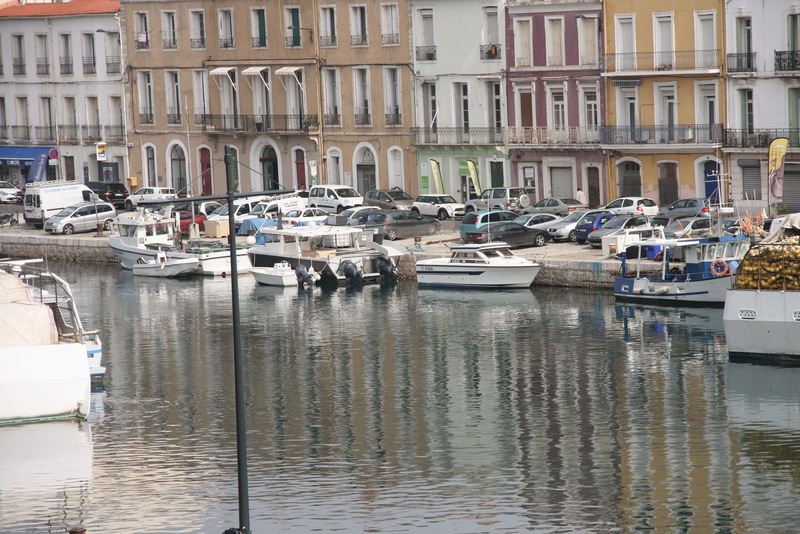 The busy fishing harbour was never without interest and I was frequently drawn out onto the balcony as an observer-spy. 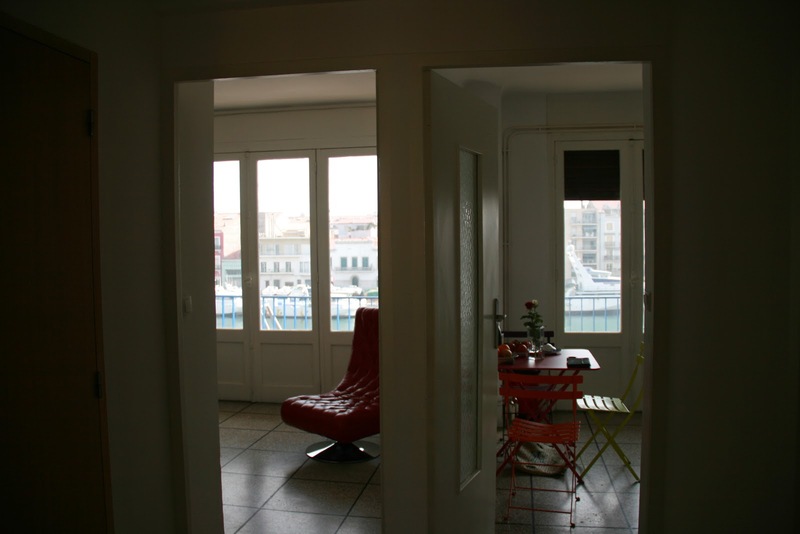 The constant flow of the marine landscape outside, encouraged the inside of the flat to take on its own inner calm and it proved to be a peaceful haven except on the morning when a builder began work upstairs at seven in the morning. But then, out of chaos comes the calm, or so they say. 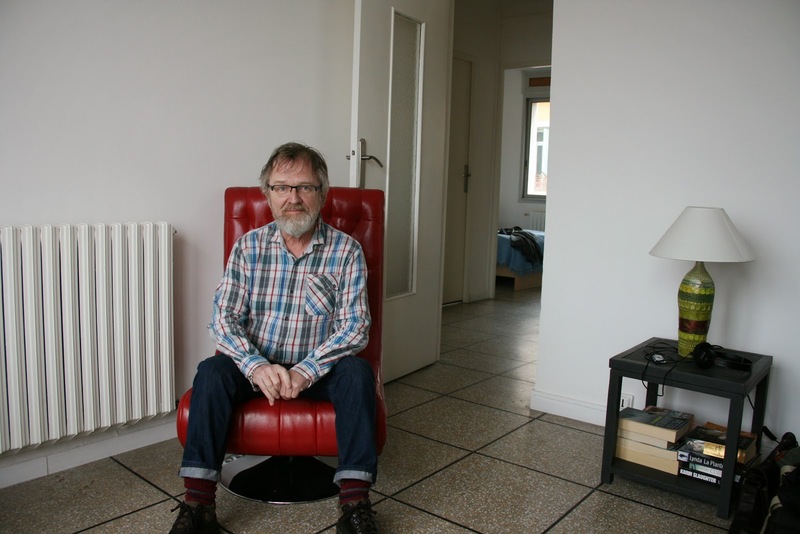 I grew quite attached to the little red leather chair which swivelled round to cater for my delight in contemplative fidgeting. I confess to enjoying chairs that allow me to change the view on impulse. 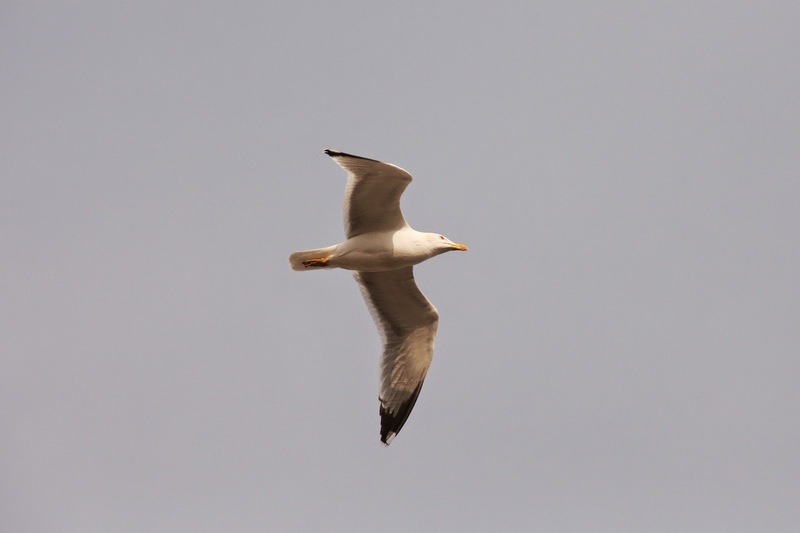 and a sky alive with inquisitive gulls. 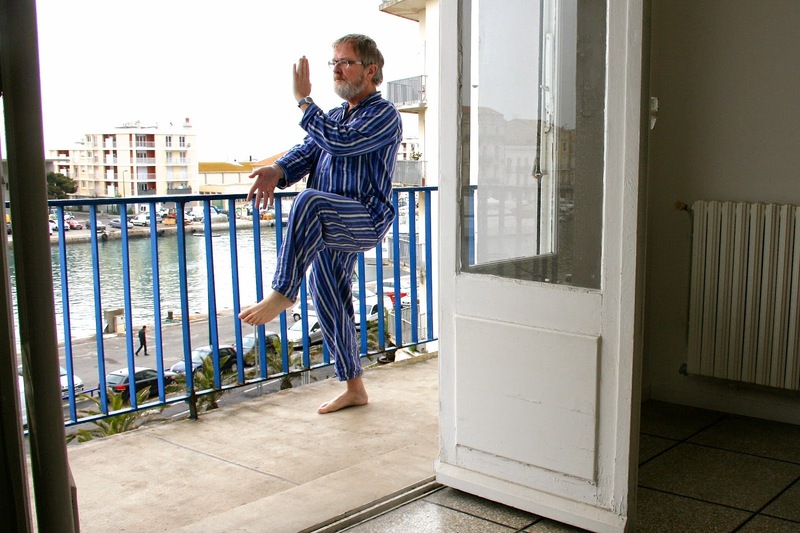 High up on my balcony, I found the perfect place for my morning exercises where martial arts practice is a form of meditation. and Qigong teaches you to salute the sun as it rises on each new day. 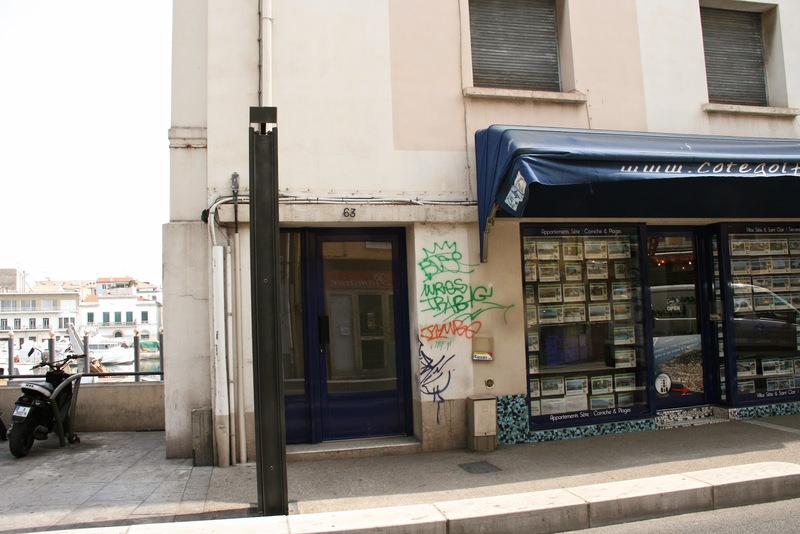 It was a good place to think of Sète’s great poet, Paul Valéry and his poem Le cimetière marin (see yesterday’s blog) and to use his words as a form of meditation. Shatter, O body, meditation’s mould! And, O my breast, drink in the wind’s reviving! Let’s run at the waves and be hurled back to living! Non, non! . . . Debout! Dans l’ère successive! Me rend mon âme . . . O puissance salée! 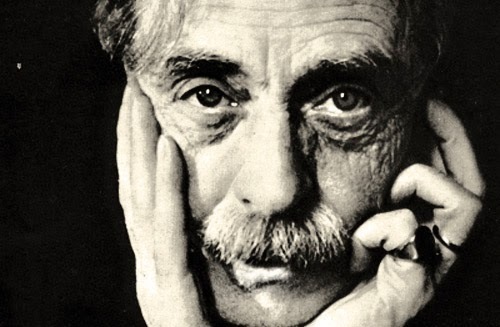 Paul Valéry accompanied me out there sometimes but then there was my old friend Johannes Brahms who seldom leaves me alone either. As my chronological journey through the history of classical music nears its end, I took a recording of Brahms’ Clarinet Quintet with me holiday and, consequently, came to the end of my musical year, 1891. 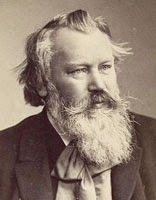 Brahms, no stranger to depression, had decided that his composing days were over when he completed his beautiful String Quintet in G Major in 1890 but then he met the clarinetist Richard Mühlfeld (1856 –1907) and, luckily for us, fell in love with the instrument’s mellow beauty and Mühlfeld artistry. 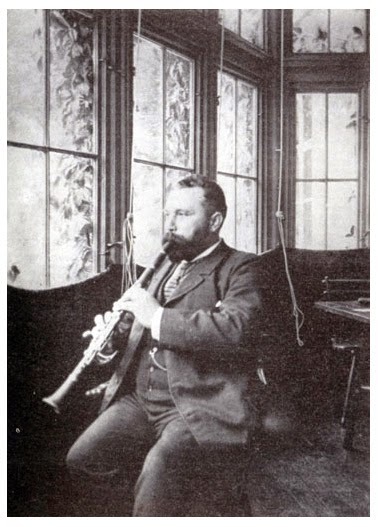 The clarinet became, for Brahms, the instrumental equivalent of the rich vocal tones of his beloved mezzo-sopranos. Luckily for us too, he was to meet another young mezzo too that year and his composing continued. I wouldn’t mind moving to a smaller apartment with a calming view like that. Despite the place being modest in terms of its architecture, I think what matters more is the daily sight you get to witness from your windows. Time for some Chakra meditation sitting comfortably on my sofa.